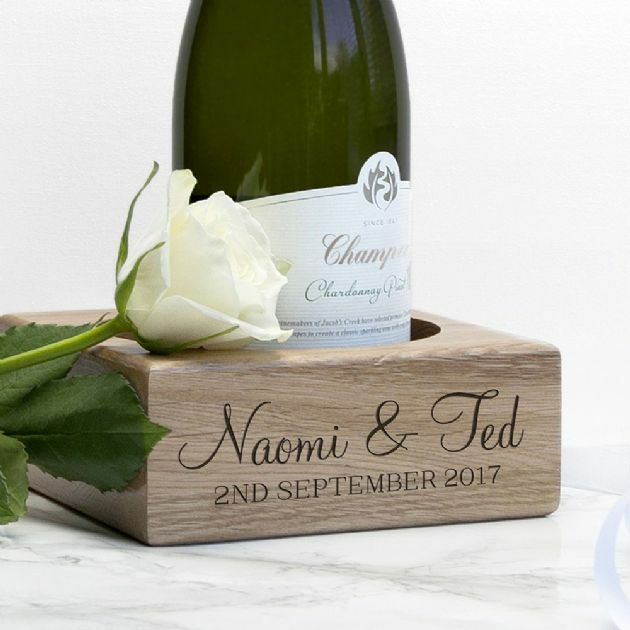 Made from solid Oak,this sturdy champagne holder is a great gift for a newlywed couple or as a 5th wedding anniversary gift - wood !. Engraved with the couple's names and date this gift will stand the test of time. Great for the dinner table and to bring out at every special occasion. Personalise with names & a message up to 30 characters on each line. Please Note;Glasses and Champagne not included.